UNESCO Workshop on Intangible Cultural Heritage (ICH) Safeguarding was held in Dhaka, the capital of Bangladesh, from Sept 17 to 20. 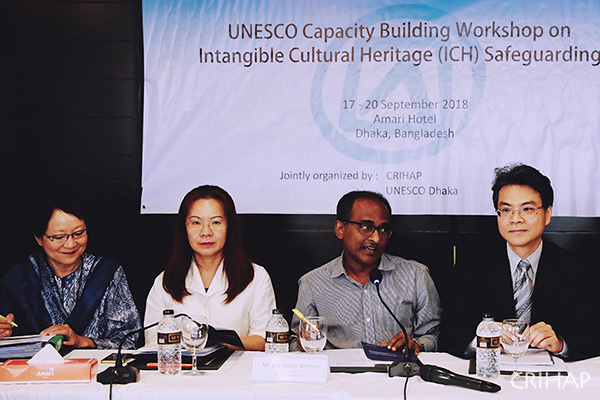 UNESCO Workshop on Intangible Cultural Heritage (ICH) Safeguarding, co-organized by CRIHAP and UNESCO Dhaka Office, was held in Dhaka, the capital of Bangladesh, from Sept 17 to 20. Mr. Liang Bin, Director-General of CRIHAP, Ms. Sun Lei, Officer-in-Charge of UNESCO Dhaka Office, Ms. Sun Yan, Cultural Counselor of Embassy of the People’s Republic of China in Bangladesh, Mr. Mahbubur Rahman, Joint Secretary of the Ministry of Cultural Affairs of the People's Republic of Bangladesh, attended the opening ceremony of the workshop and delivered speeches. Twenty trainees from Bangladesh government departments, research institutes and universities participated in the training. The training is the first capacity-building activity for Bangladesh organized by CRIHAP under the framework of the 2003 Convention. 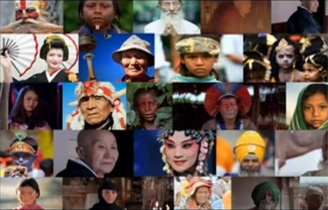 It aims to strengthen the capacity of Bangladesh to implement the Convention at the national level, promote the spirit of the Convention and enhance the ability of Bangladesh to safeguard their intangible cultural heritage. 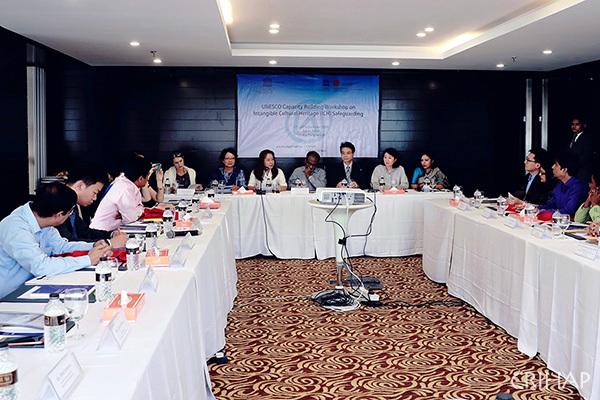 During the four-day workshop, two UNESCO facilitators, Noriko Aikawa and Suzanne Ogge, led the participants to discuss and conduct case studies on the ICH safeguarding through lectures, group discussions and exchanges. Ms. Guan Jing, from the training division of CRIHAP, shared a case study regarding the strategy for training coming generations of Fujian puppetry practitioners with the trainees, which was inscribed on UNESCO’s Register of Good Safeguarding Practices for safeguarding of the intangible cultural heritages in 2012. The trainees highly praised the curriculum, teaching methods and organization of the workshop, believing that the training helped them acquire the relevant knowledge of the Convention and provided practical and effective guidance for their further efforts to safeguard intangible culturalheritage of the country. This is the 34thcapacity-building training workshop of intangible cultural heritage held by CRIHAP. Up to now, these training activities have covered 32 countries and regions in the Asia-Pacific, with 1,082 direct beneficiaries.